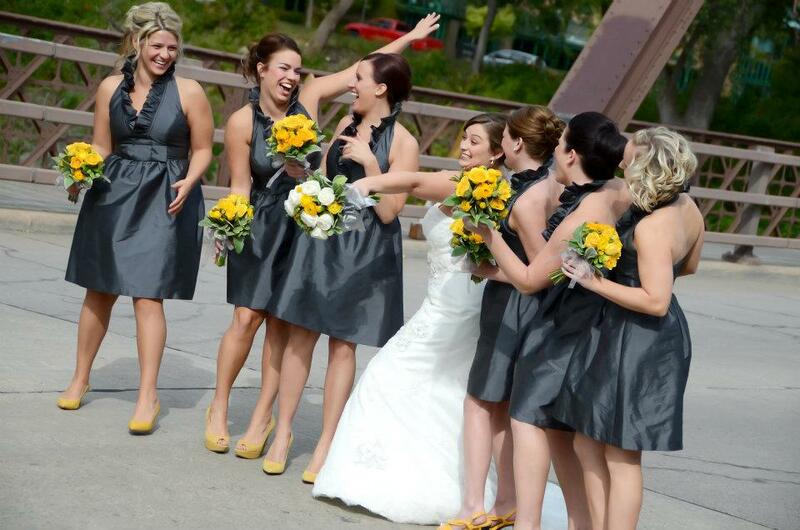 Lauren and Jon were married at the Nicollet Island Pavilion in Minneapolis, MN. 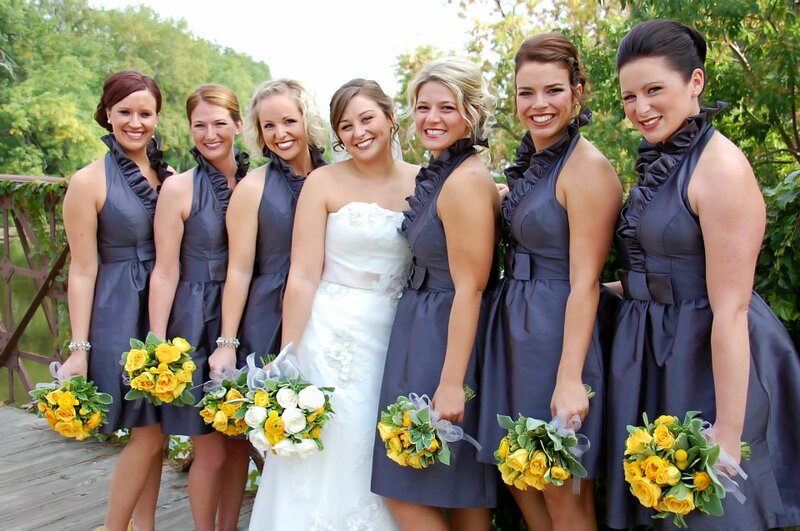 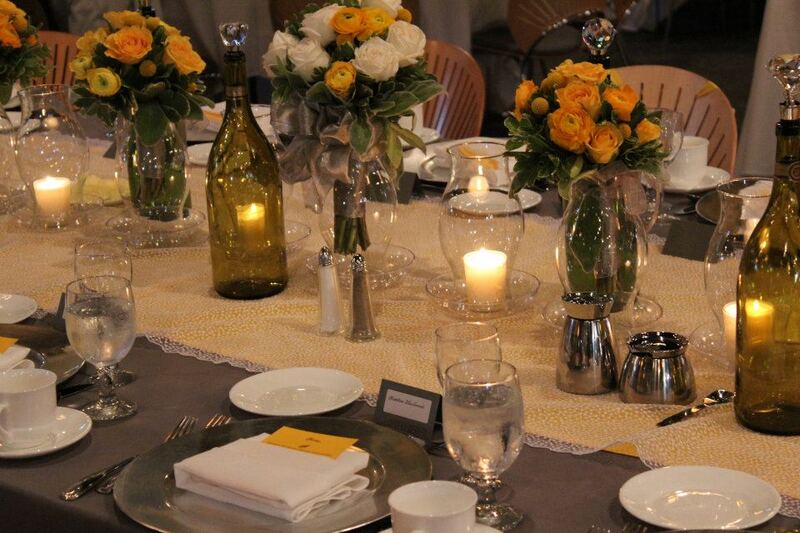 Lauren’s theme colors were gray and mustard yellow. 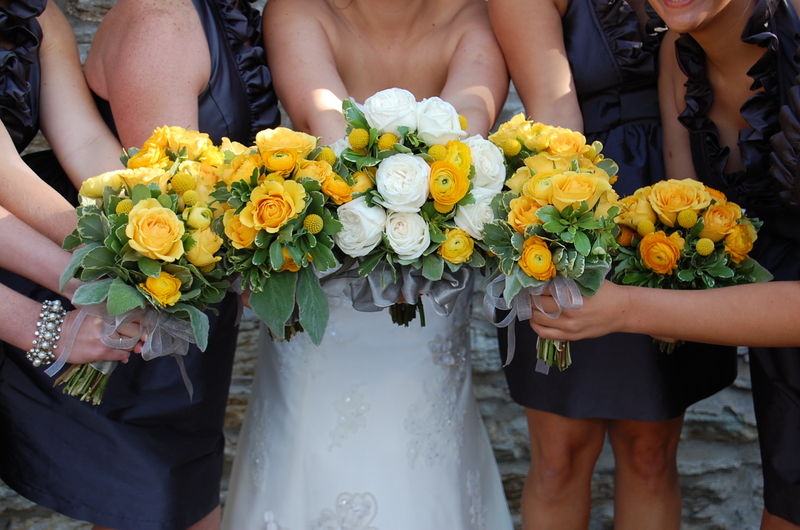 We used lots of different yellow blooms including yellow ranunculus and garden roses. 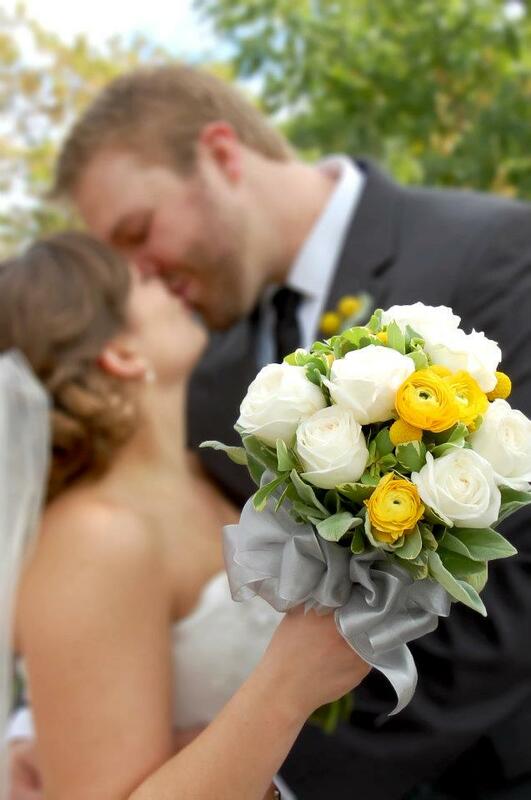 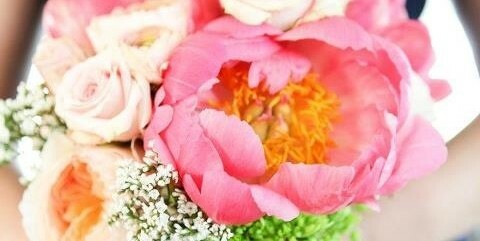 The bouquets were very simple to go with the romantic decor of the venue.